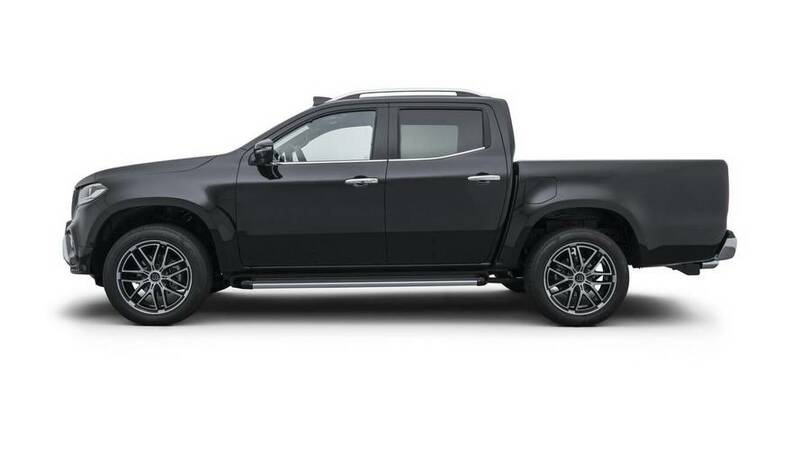 The tuners have developed a complete exterior and interior kit for the X-Class, which gives the model a sportier appearance, but also improves its practicality. 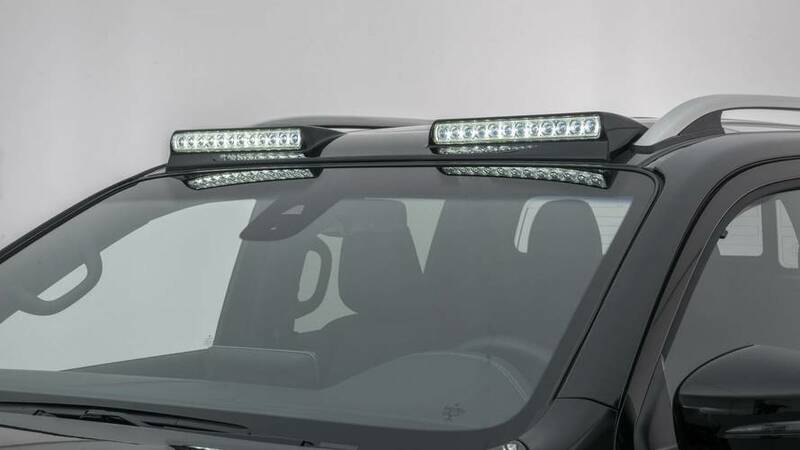 Some of the add-ons include new LED markers integrated into the front bumper and another lighting module with twelve diodes on the roof, activated with the high beam. New grille design completes the revised fascia, while at the back notable are the chromed tailpipes. Brabus has also developed a special set of two-tone 20-inch one-piece wheels with seven pairs of twin-spokes. 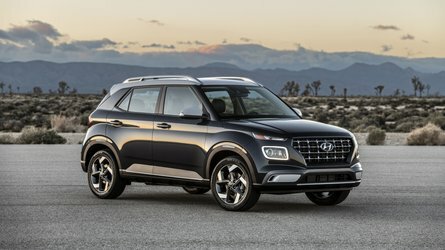 On the performance front, the specialists have retuned the 2.3-liter diesel engine under the hood (it’s the X 250d version, not the new six-cylinder one) to deliver 211 horsepower (155 kilowatts) and 376 pound-feet (510 Newton-meters) of torque, available between 1,500 and 2,500 rpm – 21 hp (15 kW) and 42 lb-ft (60 Nm) more than before. 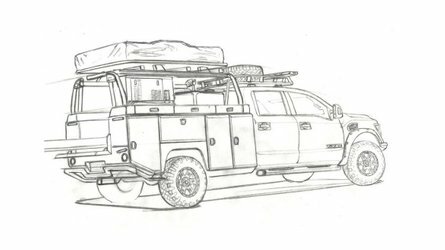 After the revisions, the pickup needs 11.5 seconds to reach 62 miles per hour (100 kilometers per hour) from a standstill. Brabus explains it’s already developing a performance upgrade for the more powerful X 350d range-topping model, too. The interior has been reworked from the tuners too, but the revisions inside the cabin are minor and include stainless scuff plates and sporty aluminum pedals and footrest. What’s more important, customers will be able to buy a huge number of different upholstery designs and color combinations. 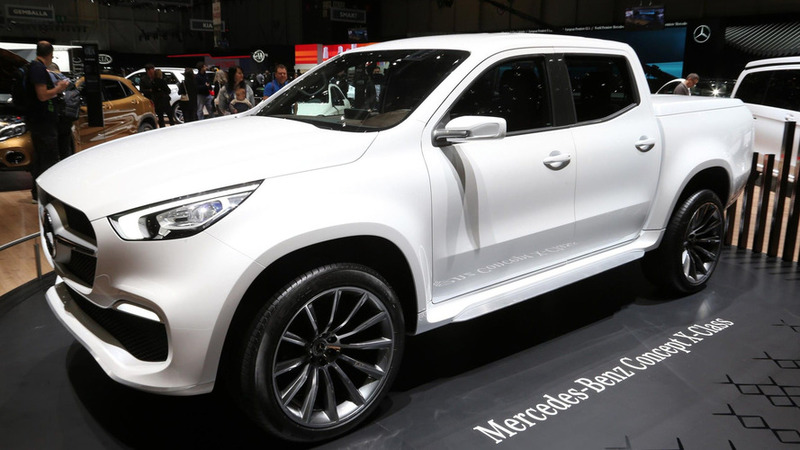 To give the first Mercedes-Benz pickup an even more custom and exclusive appearance, the BRABUS designers developed a designer suit with sporty-elegant styling. Its manufacture using Pur-R-Rim ensures OEM quality and thereby a precise fit and problem-free painting. Strategic detail touch-ups give the X-Class an even more distinctive face. 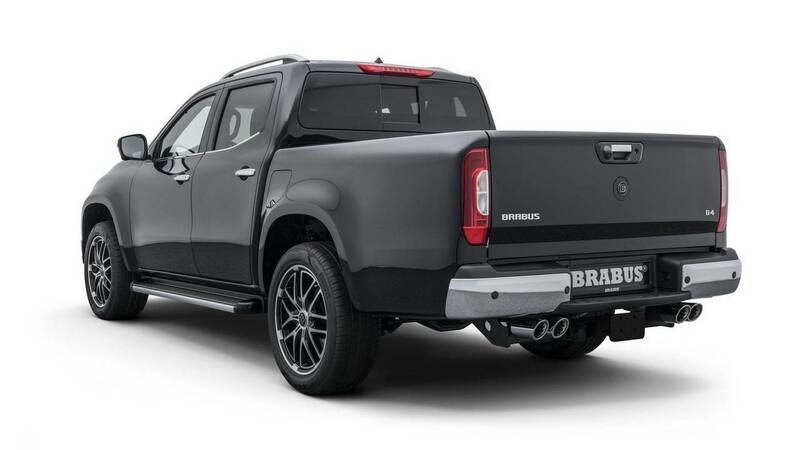 A BRABUS front element centrally positioned in front of the radiator grille lends the pickup even brawnier looks. The integrated mesh takes up the honeycomb design of the production grille in the front fascia. To give the underride guard at the underside of the front fascia an even more striking visual effect, the designers integrate three precise-fit BRABUS elements into the recesses. The BRABUS add-on parts for the front fascia give the four-door with cargo bed a more dynamic appearance. 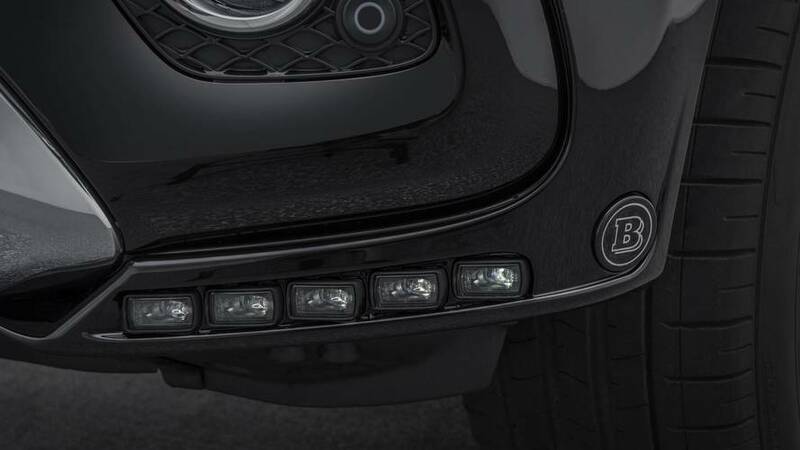 What is more: The integrated LED side markers enhance the active safety in addition. 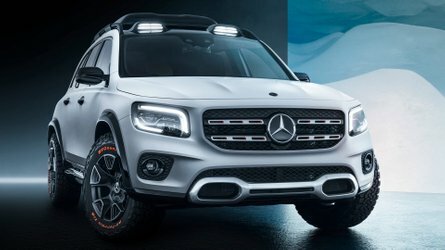 The BRABUS lighting module for the roof of the X-Class offers exciting looks and further enhanced safety thanks to the increased light output. This precise-fit component features twelve powerful LEDS on either side, which provide even better illumination of the roadway in the dark when the driver activates the flashers or high beams. 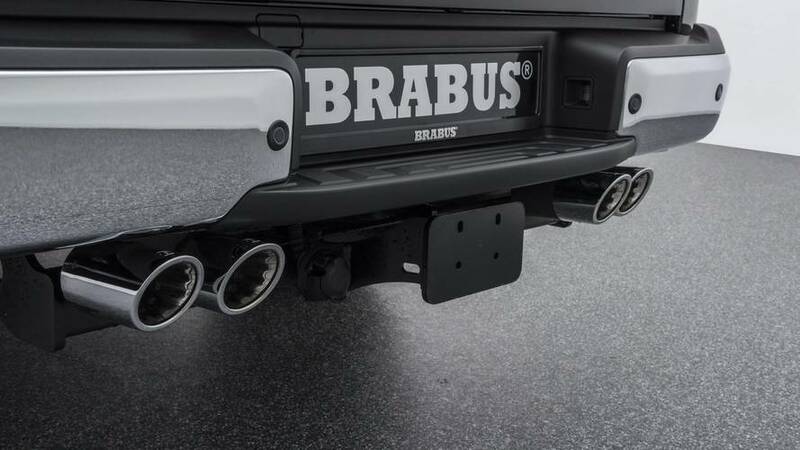 Four tailpipes in the striking design of a BRABUS sport exhaust lend the pickup an extravagant rear appearance. The exclusive looks are of course rounded off with tailor-made BRABUS Monoblock X wheels developed specifically for this pickup. Seven pairs of twin-spokes offer an optimal combination of high strength and attractive design. The striking wheel styling is further characterized by the contrast between the black paint finish and the polished surfaces on the spokes and the outer flange. 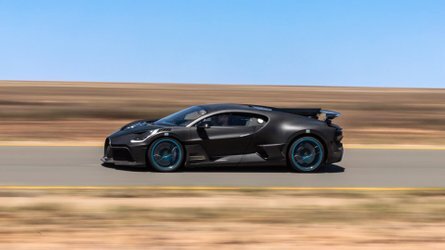 The one-piece wheels of size 9Jx20 are shod with 285/45 R 20 high-performance tires supplied by BRABUS technology partners Continental, Pirelli or YOKOHAMA. BRABUS offers the world’s most extensive lineup of engine tuning for Mercedes-Benz automobiles. For the X 250d, the BRABUS powerplant engineers developed the BRABUS D4 PowerXtra performance upgrade. After the simple plug-and-play installation of the tuning module, which can be done by any authorized Mercedes-Benz workshop in under an hour, the 2.3-liter four-cylinder turbodiesel puts out an extra 15 kW / 21 hp (20 bhp) and produces 60 Nm (42 lb-ft) more torque. With a peak output of 155 kW / 211 hp (208 bhp) at 3,500 rpm and a bullish torque of 510 Nm (376 lb-ft), on tap constantly between 1,500 and 2,500 rpm, the pickup accelerates from rest to 100 km/h (62 mph) in just 11.5 seconds. However, even more important for daily driving is the further increased pulling power of the turbodiesel engine. 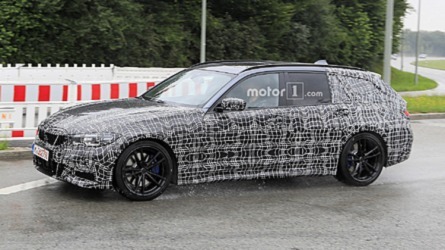 A BRABUS performance upgrade for the soon to be launched X 350d top-of-the-range model is already in the development phase. Another BRABUS specialty for the new Mercedes X-Class is the development of exclusive options for the interior. The product lineup includes stainless scuff plates as well as BRABUS aluminum components such as pedals and footrest. To create interior appointments tailored to the personal requests of the customer in every detail, the company upholstery shop fashions BRABUS fine leather interiors in a virtually endless variety of colors and designs, using only the finest leather and Alcantara.